What can we learn about the past from geology? Well, that really depends on how the evidence is interpreted. We can observe sediment layers, grains of sand, and all kinds of rock data, and then use that to develop inferences about the past. But what most people don’t realize is how much one’s worldview determines the outcome. In other words, the best interpretation of the data supports a global flood, just as reported in the Biblical account of Genesis. 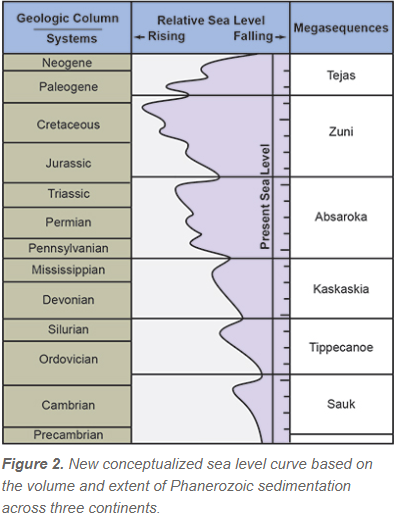 Dr. Tim Clarey of the Institute for Creation Research examined the data published by secular scientists from the Cambrian epoch to the present and found some inconsistencies. 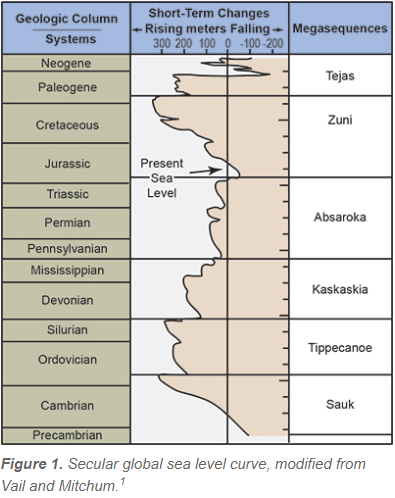 For one, the secular scientists have incorrectly interpreted the Coconino Sandstone from the Permian epoch to have been deposited on dry ground, and, as a result, their curve indicates a lowering of sea level during that period. But, according to geologist John Whitmore, the evidence indicates that the layers were deposited underwater, and that makes a big difference. 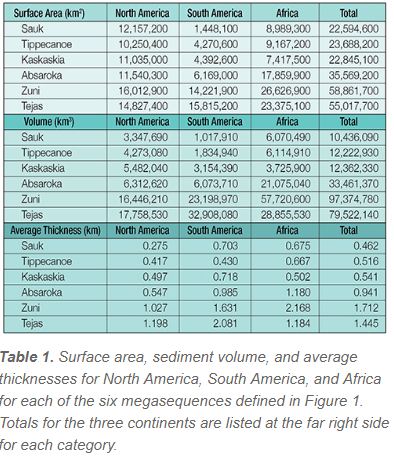 The data collected includes over 1,500 sequences across North and South America and Africa, revealing a similar pattern, documenting a global flood that grew in intensity, peaked, then receded. The same sedimentary patterns are seen on all three continents, and that’s exactly what we should find if there had been a global flood. To be fair, we can’t go back in time to observe the sedimentary layers being deposited in order to accurately determine who is right and who is wrong, but the data better matches the curve produced by creation scientists. And that’s the trick when it comes to the historical sciences- trying to piece together what happened in the past based on clues and forensic evidence. It’s not the same as operational science where we can utilize the scientific method of observation and experimentation to develop a working light bulb, computer, rocket or laser. Evolutionists would have you accept their worldview and history of the world, but I’d encourage everyone to demonstrate healthy skepticism and question the underlying untestable and unprovable assumptions behind evolutionary thinking. In my opinion, a Biblical worldview is more consistent with the evidence and better explains the world and reality, and this article serves as a wonderful example.